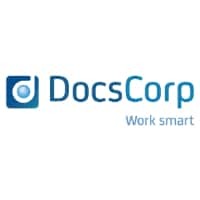 DocsCorp, a leading provider of enterprise productivity solutions, today announced the release of the newest version of its PDF creation and editing software, pdfDocs (4.5 U4b), with full support for iManage Work 10.2. This latest version fully integrates with iManage Work 10.2 via the modern REST API. Other PDF solutions still require iManage FileSite or DeskSite to integrate. pdfDocs 4.5 U4b is available for immediate download or purchase. iManage Work 10.2, the newest version of the powerful cloud-based solution from iManage, a market leader in document and email management, delivers powerful new features, new supported platforms and enhanced search capabilities designed to increase user satisfaction and adoption. pdfDocs 4.5 U4b integration supports the editing, opening, and saving of PDF documents from within iManage Work 10.2 in the browser to deliver faster and more efficient document workflows. pdfDocs is a project-centric PDF management application that gives users the ability to create, collate, edit, redact, annotate and secure PDF content. Users can print, email and save documents from within the unique Organizer workspace as well as profile documents into a document management system. Users can set up Organizer workspaces for specific cases, matters or projects complete with output and security settings, which can be shared on a network drive. pdfDocs integrates with iManage and other leading document and case management systems.